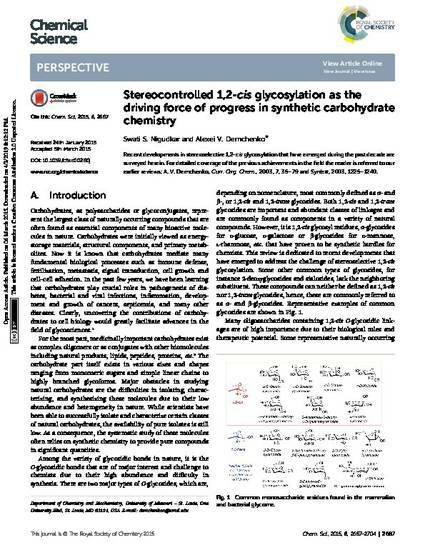 Recent developments in stereoselective 1,2-cis glycosylation that have emerged during the past decade are surveyed herein. For detailed coverage of the previous achievements in the field the reader is referred to our earlier reviews: A. V. Demchenko, Curr. Org. Chem., 2003, 7, 35–79 and Synlett, 2003, 1225–1240.